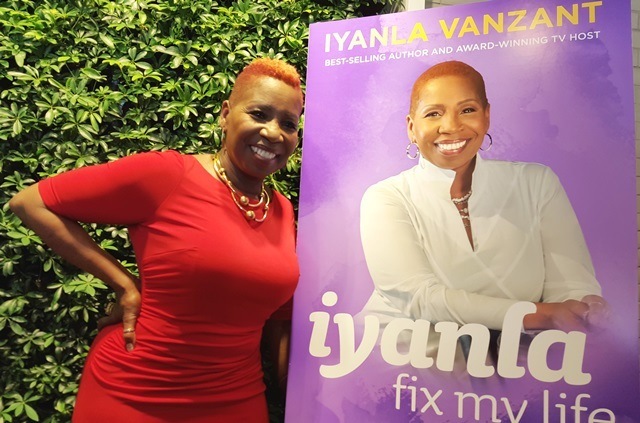 “Iyanla: Fix My Life” is a series that has life coach Iyanla Vanzant help those who are struggling, guiding them toward a new way of living and encouraging them to do the work necessary for real change. Oprah Winfrey Network’s “Iyanla: Fix My Life” will return to the network’s Saturday night lineup with all-new episodes beginning Saturday, January 12 at 9:00 p.m. ET/PT on OWN: Oprah Winfrey Network. The award-winning show hosted by six-time New York Times bestselling author, spiritual life coach and executive producer Iyanla Vanzant, will feature former reality stars Althea (“Love & Hip Hop”), Dutchess (“Black Ink Crew”) and Minyon (“Bridezillas”), whom have all been hiding behind their television personas. Their addiction to fame and fortune have left these ladies lost, and Iyanla intervenes to help them reclaim their identity.